1. The Hair Doctor Hair Treatment for Hair & Scalp by Lush - The Hair Doctor by Lush is a 20 minute, deep-cleansing, herbal hair treatment for hair and scalp. 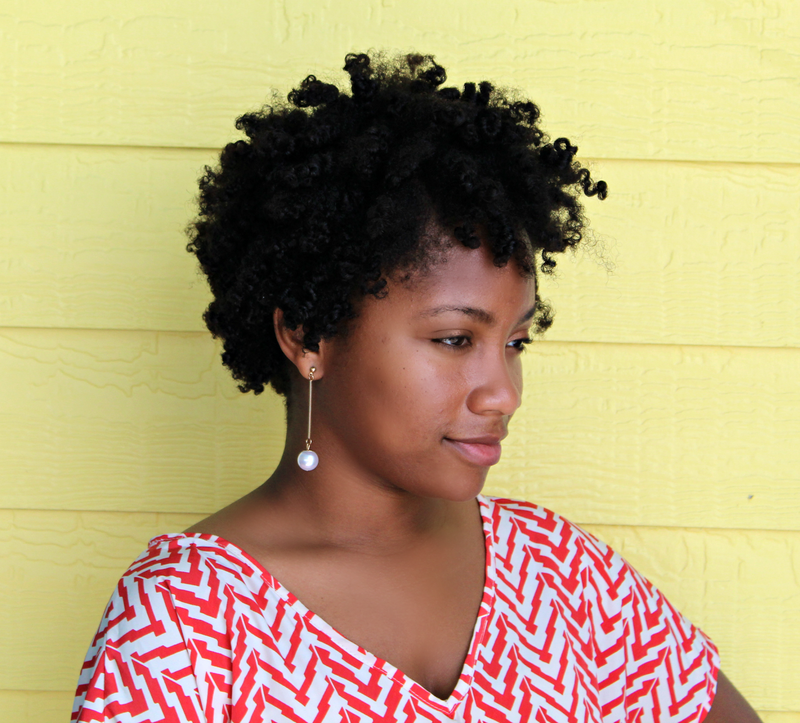 I used a sample size of the Hair Doctor last year and it soothed my scalp like nothing else. The ingredients alone in this product makes it a winner. Some of the ingredients include: peppermint oil, chamomile oil, rosemary, extra virgin coconut oil, jojoba oil, and almond oil. This treatment is definitely worth a shot in the colder months for troubled scalps. 3. Elucence Volume Clarifying Shampoo - A clarifying Shampoo can be good to use when trying to settle a troubled scalp, because it can rid the scalp of build up (Which may be causing the problem). Also, this particular shampoo has Salicylic acid in it, which can lift away dead skin cells. Also, other soothing ingredients include: sage, chamomile, and green tea. This was my favorite clarifying shampoo during my transition to natural. 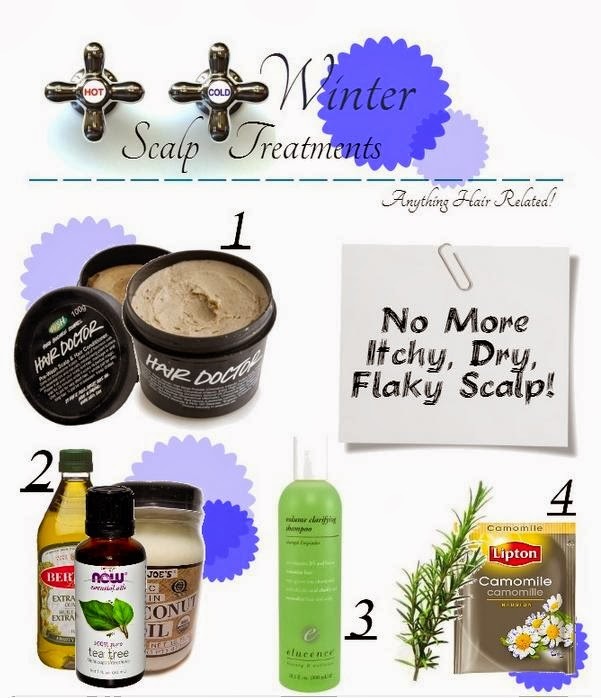 8 comments on "Hair Care Share"
Awesome tips for itchy flaky scalp. I've yet to met a product at Lush that I didn't love! Lol thank you so much! I love Lush too. Have you tried their moisturizer called R&B? It's on my wishlist! Thanks Robin! It's great and a lot cheaper than buying the rosemary/chamomile oil! Great tips. I will be trying the mixture of tea tree oil + Olive oil. Thank you for commenting and I hope you like it. Great tips! I will file this away and share your link with my readers if they inquire about itchy scalp. I don't struggle with this personally so it is sometimes hard to advise in unfamiliar areas. Thank you so much and thanks for commenting.